I'm still making ornaments for the shelter's dog-themed Christmas tree. Tonight I made a decoration using a Kong. 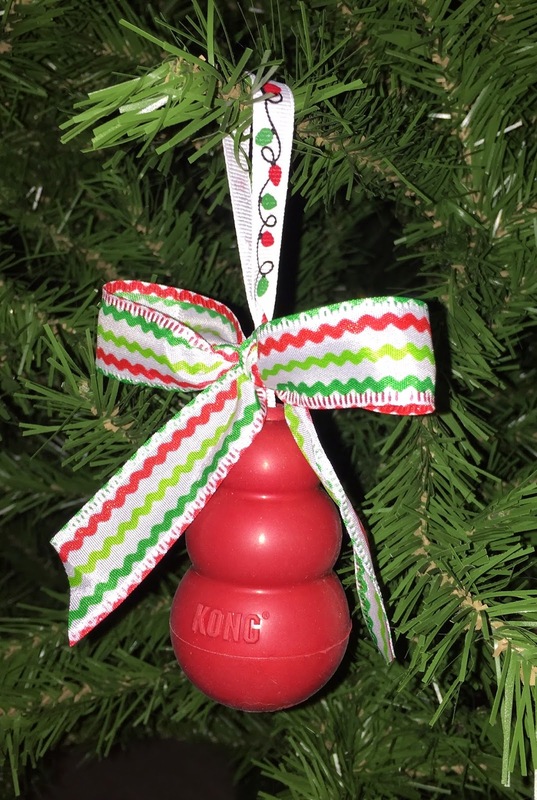 Something to pull ribbon through the Kong. I tied a knot to make a loop with the ribbon. The bigger the Kong, the bigger the knot needs to be. Then I used a skewer to push the loop through the small end of the Kong. The cat may decided to help. This is not a necessary step. Then I tied a bow on top. I think they turned out really cute! Jaq is cute too! And it will look great on a dog themed Christmas tree! 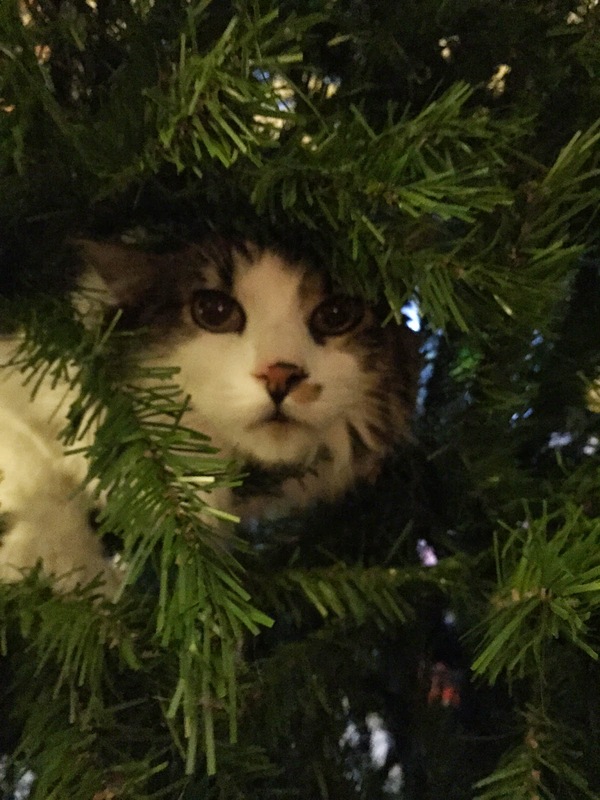 Jaq: I think this tree needs a cat theme!